This species occurs in only a few areas within the Pacific Northwest. It can be found in the southeastern portion of Vancouver Island, British Columbia, and in the glacial outwash soils of the Willamette Valley-Puget Lowlands in Oregon and Washington. There are approximately 80 occurrences in Washington State. 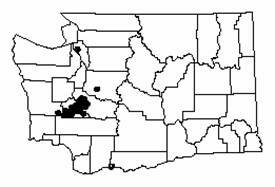 (2, 9) Below is a map depicting its current known range in Washington. Shrub and herbaceous species: snowberry (Symphoricarpos albus), service berry (Almelanchier alnifolia), Oregon sunshine (Eriophyllum lanatum), and early blue violet (Viola adunca). A common non-native species found within white-topped aster’s habitat is Scot’s broom (Cytisus scoparius). This species poses a threat to A. curtus by growing in dense stands and altering the soil nutrients. Store seeds in a cool, dry place out of direct light. Since A. curtus can spread up to 1 meter in diameter, it is best to space them at least 1 meter apart, depending on restoration design. * Listed threatened species: Taxa that are listed by the USFWS, NOAA Fisheries, ODA, or ODFW as threatened. (3) Clampitt, Christopher A. 1987. 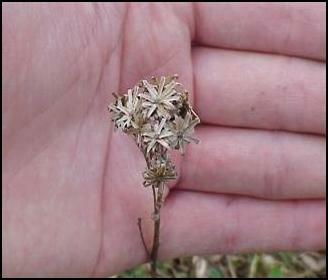 Reproductive Biology of Aster curtus (Asteraceae): A Pacific Northwest endemic. American Journal of Botany. (5) Gibble, Wendy. Rare Care Program Manager. Personal Communication. 4/19/06. (6) Giblin, David Emmett. 1997. The relationships of reproductive biology and disturbance to the rarity of Aster curtus (Cronq. 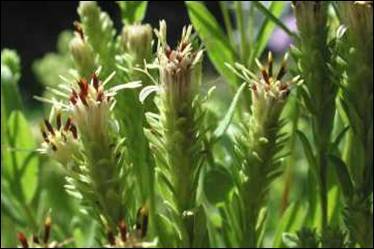 ), a Pacific Northwest endemic. (8) Oregon Natural Heritage Information Center. 2004. Rare, Threatened, and Endangered Species of Oregon. Oregon Natural Heritage Information Center, Oregon State University, Portland, Oregon. 105 pp.